Murali K Lanka is SVP & Chief Real Estate Officer of Walmart India. 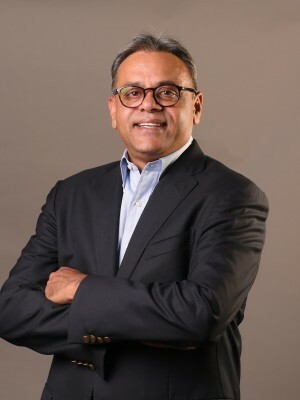 Prior to this role, he was the Chief Operations Officer of Walmart India and was responsible for Store Operations, Sales & Business Development, Membership & Marketing and Asset Protection functions of Best Price Modern Wholesale stores, owned and operated by Walmart India. Murali is a retail veteran with almost 28 years of experience. His deep knowledge and global experience in Food and General Merchandise and e-commerce have helped the company make significant progress and set foundation for future growth. Murali joined Walmart Inc. in 1989 and played various roles in the Sam’s Club business. In 2008, he came to India as the Head of Operations. He spent five years in the India business before repatriating to US in 2013 as the Developmental Regional General Manager in the Texas division. In his earlier stint at Walmart India, Murali played a key role in setting up the Best Price Modern Wholesale format in India. Under his leadership, Walmart India opened 20 Best Price Modern Wholesale stores. Murali holds a Bachelor’s degree in Business Administration from University of Houston, Houston, TX.